Ever since it was created in 1886, the exact ingredients that created Coca-Cola have been shrouded in secrecy, guarded by those who own it but now, a website claims that it has uncovered that secret. 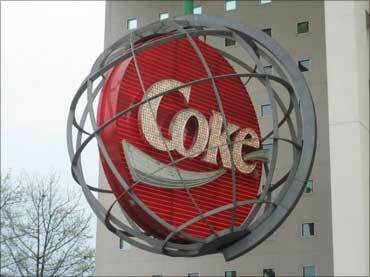 The prototype Coca-Cola recipe was formulated at the Eagle Drug and Chemical Company, a drugstore in Columbus, Georgia by John Pemberton, originally as a coca wine called Pemberton's French Wine Coca. The only official written copy is supposedly held in SunTrust Bank's vault in Atlanta and only two company employees at any one time are said to know the whole formula that gives the fizzy drink its distinctive flavour. 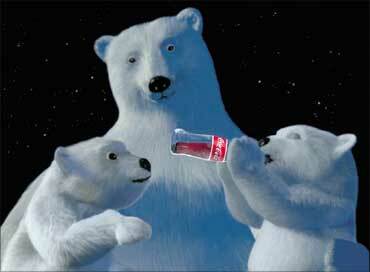 Photographs: Courtesy, The Coca Cola Company. Now, a website called thisamericanlife.org has said that it has uncovered a list showing the ingredients and quantities used to make the drink. The list, it claims, was actually published without fanfare in a 1979 local newspaper article in Coca-Cola's US home town of Atlanta, Georgia - but no one appeared to realise its significance. According to the site, the 32-year-old article - buried on Page 28 of the Atlanta Journal-Constitution - shows a photograph of a recipe purported to be an exact replica of Coca-Cola creator John Pemberton's. In 1886, when Atlanta and Fulton County passed prohibition legislation, Pemberton responded by developing Coca-Cola, essentially a non-alcoholic version of French Wine Coca. The first sales were at Jacob's Pharmacy in Atlanta, Georgia, on May 8, 1886. It was initially sold as a patent medicine for five cents a glass at soda fountains, which were popular in the United States at the time due to the belief that carbonated water was good for the health. 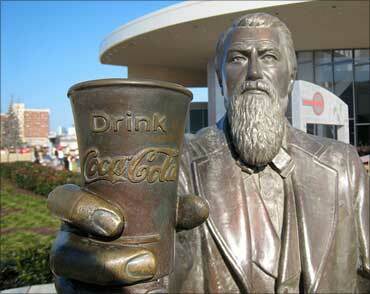 Image: John Pemberton at New World of Coca-Cola, Atlanta. Pemberton claimed Coca-Cola cured many diseases, including morphine addiction, dyspepsia, neurasthenia, headache, and impotence. Pemberton ran the first advertisement for the beverage on May 29 of the same year in the Atlanta Journal. 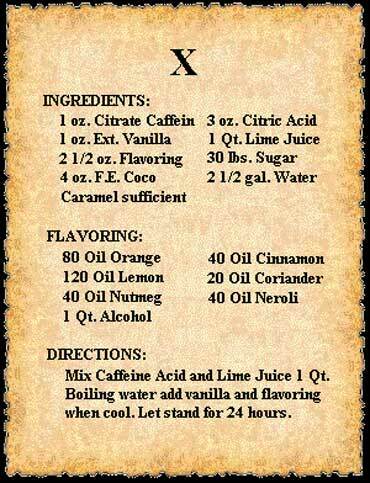 The recipe had apparently been written by a friend of pharmacist Mr Pemberton's then passed down through the generations and refers to Coca Cola simply as 'Natural flavourings including caffeine' alongside carbonated water, sugar, phosphoric acid and colour (Caramel E150d). "I think that it certainly is a version of the formula," the Daily Mail quoted thisamericanlife.org consulted historian Mark Pendergrast as saying. 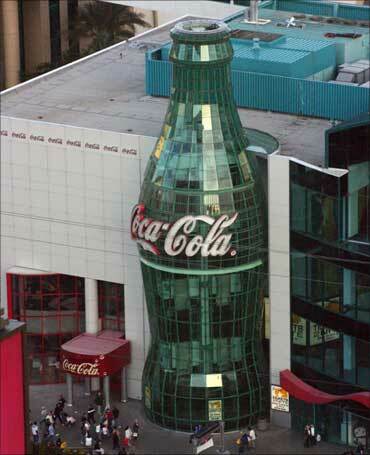 Image: World of Coca-Cola, Las Vegas. Asa Candler, one of the first presidents of the company, was so worried that the 'Holy of Holies' would fall into the wrong hands he made sure it was never written down. A crucial part of the formula was also given the name '7X' to add to the mystique. Pendergrast added, "At any given time only two people know how to mix the 7X flavouring ingredient. Those two people never travel on the same plane in case it crashes; it's this carefully passed-on secret ritual and the formula is kept in a bank vault." The closest the company itself has come to divulging its recipe was the admission that it originally included cocaine. Pemberton called for five ounces of coca leaf per gallon of syrup, a significant dose; in 1891, Candler claimed his formula (altered extensively from Pemberton's original) contained only a tenth of this amount. 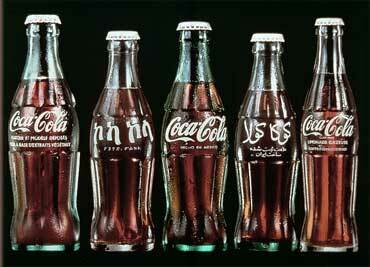 Coca-Cola did once contain an estimated nine milligrams of cocaine per glass, but in 1903 it was removed. Coca-Cola still contains coca flavoring. Image: This piece of parchment is a representation of a sheet of paper found in an old formulary book. 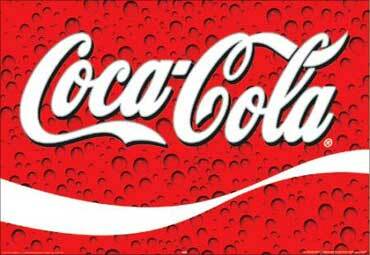 The famous Coca-Cola logo was created by John Pemberton's bookkeeper, Frank Mason Robinson, in 1885. Robinson came up with the name and chose the logo's distinctive cursive script. The typeface used, known as Spencerian script, was developed in the mid 19th century and was the dominant form of formal handwriting in the United States during that period. The equally famous Coca-Cola bottle, called the "contour bottle" within the company, but known to some as the "hobble skirt" bottle, was created by bottle designer Earl R Dean. In 1915, the Coca-Cola Company launched a competition among its bottle suppliers to create a new bottle for the beverage that would distinguish it from other beverage bottles, "a bottle which a person could recognise even if they felt it in the dark, and so shaped that, even if broken, a person could tell at a glance what it was." Grief to joy: Inspiring tale of an entrepreneur! Should India's super-rich pay more taxes? Asia's 22 greenest cities: Delhi ahead of Mumbai!